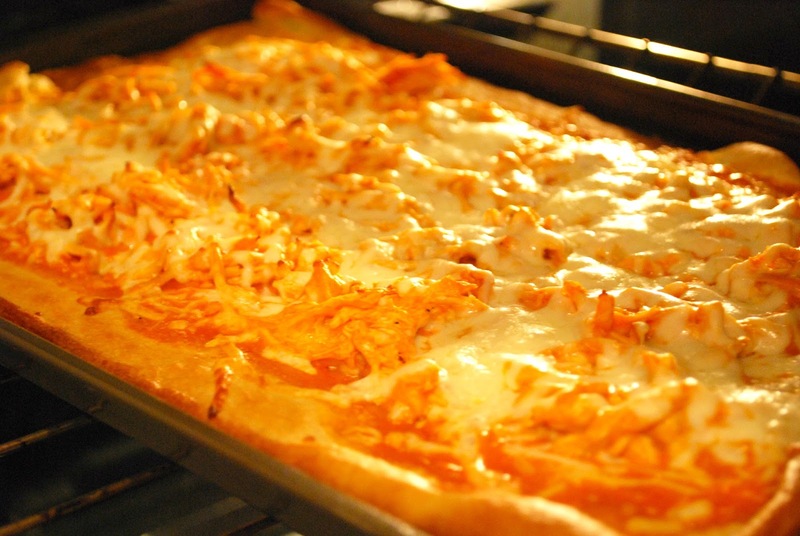 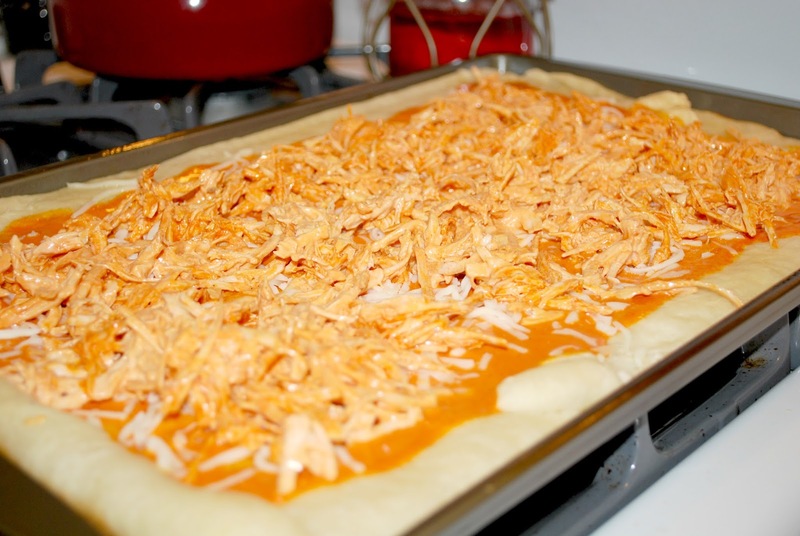 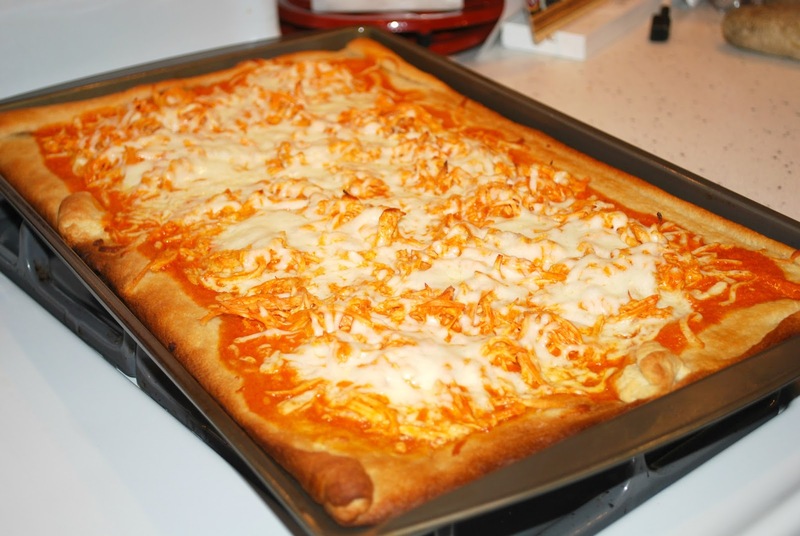 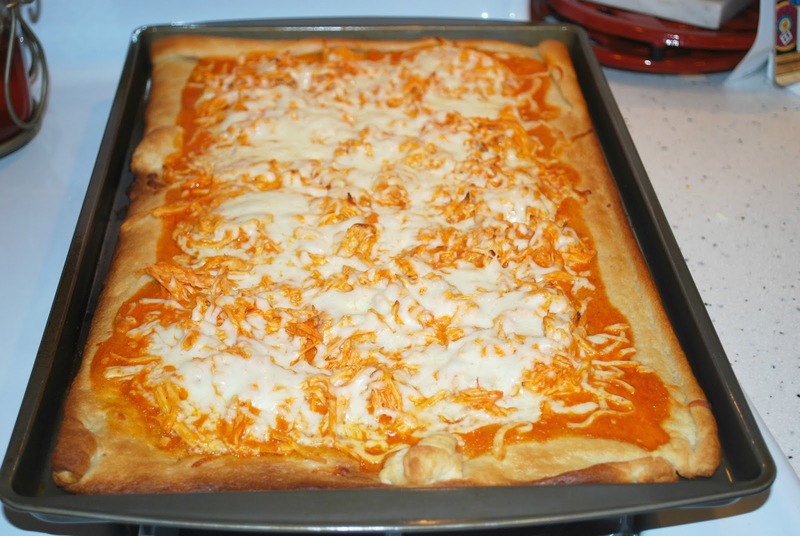 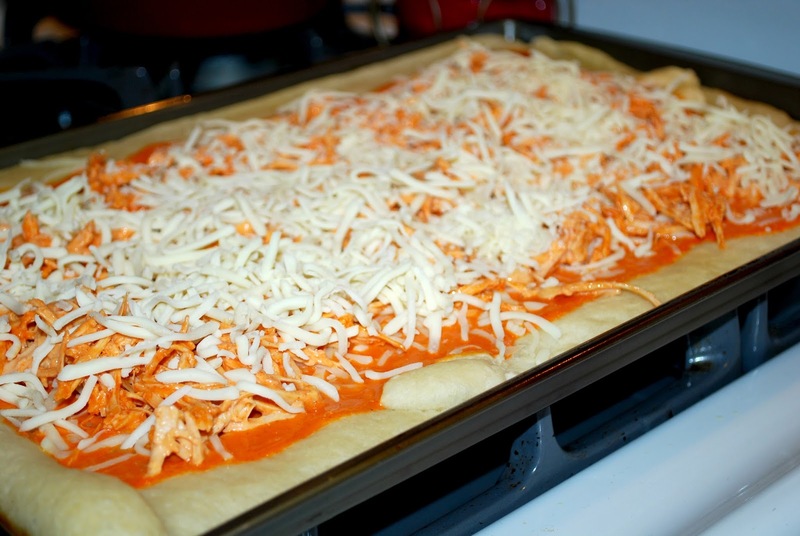 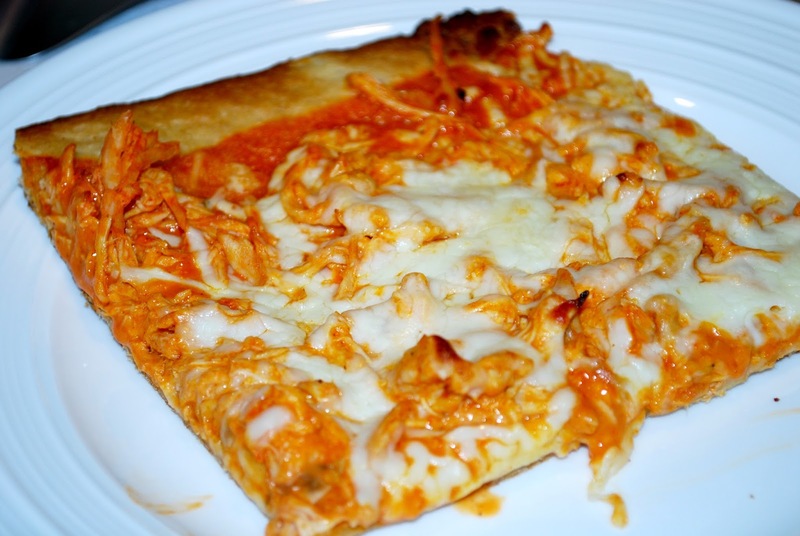 I made this amazing (and incredibly easy) buffalo chicken pizza for my family last night and it was a total hit! 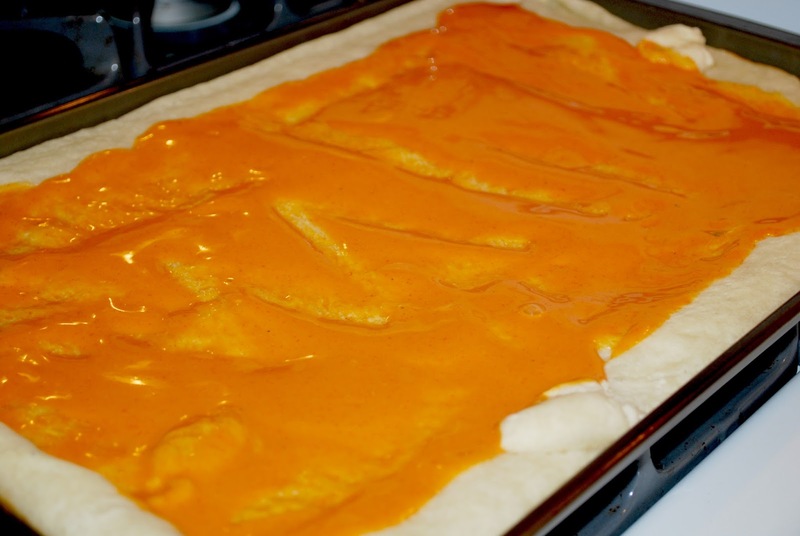 I must admit, I was just wingin' it (no pun intended), and it came out great. 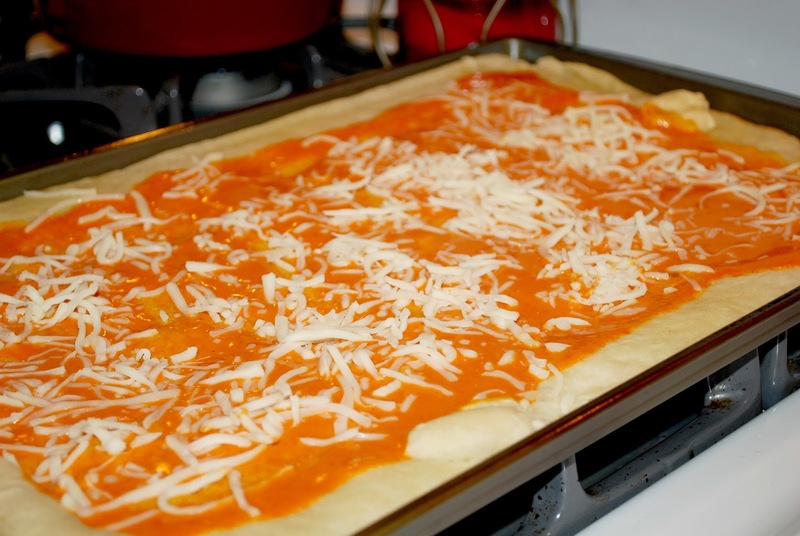 Once you have the right ingredients on hand, this dish practically makes itself!